News I'm not quite surprised by. 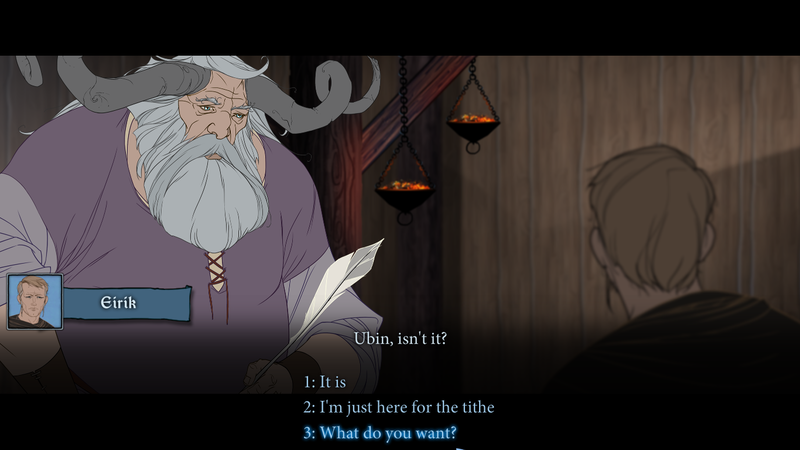 Stoic have now officially removed the Linux version of The Banner Saga on Steam in favour of leveraging Valve's Steam Play. Why am I not surprised? Well, they already removed actual support for the original The Banner Saga and so we weren't going to be getting an further updates and the sequels were not coming to Linux. So, with that in mind, this news isn't really coming out of the blue. The problem is, they used an external porter for the original who went out of business and on top of that they also use Adobe AIR which was discontinued for Linux back in 2011. They've actually done this as a result of user requests to have the native Linux version removed, since Steam has no built-in function to let you switch between a native game and the Windows version run through Steam Play. Hopefully Valve will add in such an option in future, so people can have the best of both worlds and make their choice themselves. Until Valve do that, I imagine a couple more will be doing the same who don't have the resources or simply can't update the Linux version, as sad as that is. After a few issues of it still downloading the soundtrack and some other misc files as if it still had a Linux build, I told them what else they needed to remove and so now it will actually do Steam Play properly. I've tested it myself and even on my reasonably low powered Intel laptop using the Mesa driver on Ubuntu 18.10 it works perfectly. No audio issues, no graphical issues and performance seems okay too. Is it a big loss? Not really. If they weren't doing anything with the old Linux build and for some it didn't run at all, this is a better option isn't it? I would say so. Obviously it's preferable to have a supported release, but if they can't or won't this is the only option and Steam Play is absolutely better than having to run Steam in Wine directly. So while the reasons for them doing this are nothing to do with Steam Play, it's good that it's around so we don't lose it completely. Adobe AIR is nearly non-functional on Linux for long time already so in this case it's probably a good call. While I understand that this may be a good solution, it seems somewhat drastic to do this on the main branch because it takes away the game from those that don't read the forums. Isn't it possible to make a separate branch that lacks the Linux version so that people can turn it off by choice? Ehvis While I understand that this may be a good solution, it seems somewhat drastic to do this on the main branch because it takes away the game from those that don't read the forums. Isn't it possible to make a separate branch that lacks the Linux version so that people can turn it off by choice? Right now, I don't think it is possible. Steam handles OS depots a bit weirdly. Basically, as soon as a a depot exists for an OS, you won't be able to hide that game in the players' library when it is set to only show games available on that OS, nor be able to use SteamPlay. Edit: maybe they could make it a "special game", freely redeemable for those that own the classic "windows" version. That could work, I think. well, I prefer native but if it works on steamplay flawlessly then I'm fine with it. MayeulC Right now, I don't think it is possible. Steam handles OS depots a bit weirdly. Basically, as soon as a a depot exists for an OS, you won't be able to hide that game in the players' library when it is set to only show games available on that OS, nor be able to use SteamPlay. That's definitely not the case because the other way around works just fine. There can be a Linux depot+configuration that only appear in specific branches for it to be visible (like the Feral dev branches or some games where you had to enable a specific branch to get to the Linux beta). I think it's more a case of this not being clear for developers to do, many I've spoken to have talked at length about how confusing managing all this on Steam actually is. To bad that I don't support Windows anymore in any way. I'd rather just buy Ash of Gods: Redemption.